Neck Pain … we can help! 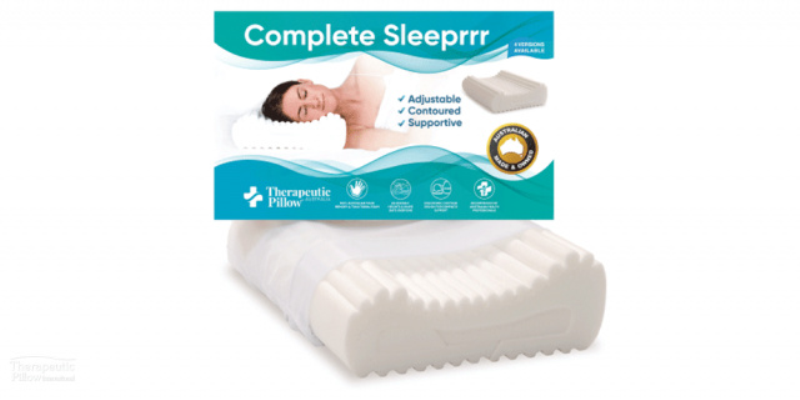 At Footscray Chiropractic we stock a range of pillows and aides to support your health and well-being. The Complete Sleeper is a very comfortable memory foam pillow. It is contoured and comes in 2 densities but the thing that sets it apart from other pillows is that it is adjustable. It has two inserts that can be removed to change the shape and size of the pillow and foam ‘noodles’ that can be removed to make it softer. Give us a call on 9687 3886 if you’d like to trial a pillow, we have 2 samples for loan. SleepMax Labs MicroBead Ultra Soft Travel Neck Pillow Hypoallergenic Velvety Cover w/ Easy Comfort Snap Deluxe Burgundy Its cover is made of pure velvet making it not only elegant looking but durable as well. In addition, the pillow is properly filled to further enhance your comfort when travelling. Not to forget, it is designed in a way that it perfectly molds your neck. The pillow is greatly recommended for people taking long freights or road trips. CABEAU Best Memory Foam Travel Pillows This pillow comes as one of the best in the market currently. This is because it has a couple of features that other pillows lack. The pillow features raised side supports which allow you to have a 360 degree head and chin comfort. In addition, the pillow has a side case where you can place your mobile phone. Not to mention, CABEAU travel pillow is bought along with a compact travel bag for convenient portability.